Deepening spiritual and community connections within WSUU's congregational life. Exploring a spiritual path with the support of others. Creating powerful new friendships in a loving community. Joining our many programs and events. Helping build a community which values the healthy emotional and spiritual growth of children and youth. Participating in a democratic process and becoming something greater than one's self. Commit to and practice the seven UU Principles. Give of your time and talents by volunteering. Make a personally meaningful annual pledge to support WSUU congregational activities. Interested or exploring joining Westside UU? Please come to our 3-part membership series for newcomers and non-members. 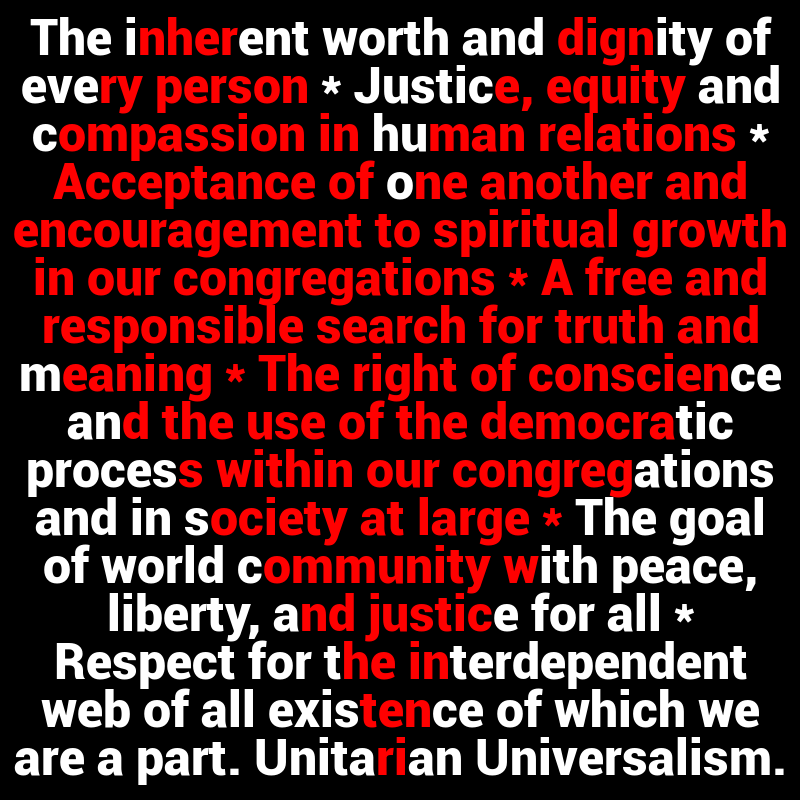 Come learn more about Unitarian Universalism and make a personal connection with our minister and members of our congregational community. Childcare and refreshments provided. Join us for a special evening where we get to know each other better and share our personal spiritual journeys. Childcare and refreshments provided. RSVP required for this event. Meet Westside UU leaders and learn more about our thriving congregation, connect to personal interests and complete your pledge. Childcare and refreshments provided. For questions and more information about becoming a member, contact Laura White, Membership Chairperson.